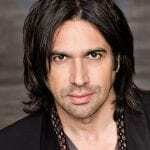 We are delighted to welcome Italian bass, Ildebrando D’Arcangelo, to our roster for general management. Hailed by critics for his stage presence and glorious basso cantabile, Ildebrando has been particularly renowned for his Mozart roles of Figaro, Count Almaviva, Leporello and Don Giovanni. In recent years he has added the great Verdi roles of Attila, Fiesco Simon Boccanegra, Banco Macbeth, Méphistophélès Faust and La Damnation de Faust to his repertoire. This season he will sing his first Filippo II in Don Carlos at the Deutsche Oper Berlin. Throughout his distinguished career he has appeared at the Wiener Staatsoper, Salzburg Festival, Royal Opera House Covent Garden, Deutsche Staatsoper Berlin, Opéra National de Paris, Teatro alla Scala Milan, Teatro Real Madrid and Metropolitan Opera New York with conductors including Claudio Abbado, Riccardo Muti, Myung-Whun Chung, Sir John Eliot Gardiner, Bernard Haitink, Nikolaus Harnoncourt, Tugan Sokhiev and Antonio Pappano. He will soon return to the Metropolitan Opera for Dulcamara L’Elisir d’Amore for performances throughout January and February. Ildebrando will be managed at Askonas Holt by Sue Spence, Kate Baylis and Sophie Robertson.